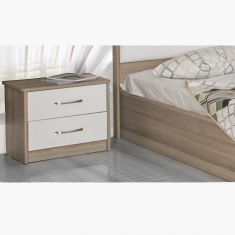 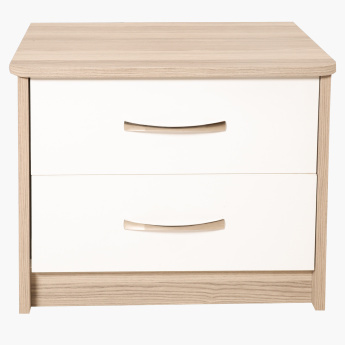 Displaying a two-drawer nightstand that will be a serviceable addition to your bedroom interiors. 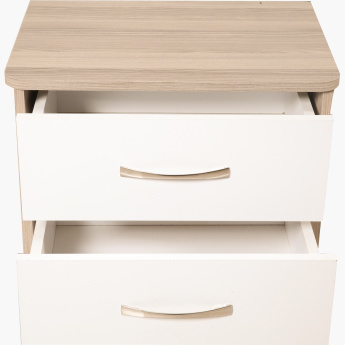 The nightstand can be used to keep a range of frequently used objects at arm’s length. 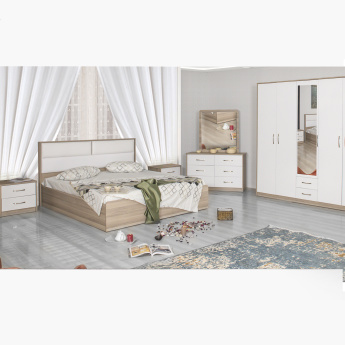 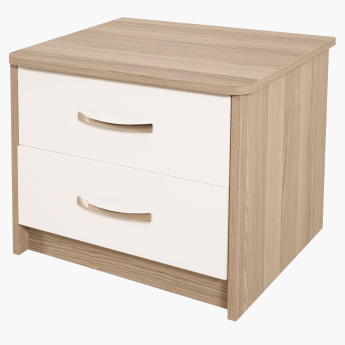 The ensemble highlights rounded corners and a melamine finish, making it an ideal choice for modish bedroom decors.